Vitamin C serum is just about the most important antioxidants to stave off wrinkles, and access the fountain of youth. This serum, when topically applied, is exceedingly beneficial for your skin’s youthful appearance and vitality. Read on to know more about how Vitamin C serum can boost your looks and reduce age to just a number. Vitamin C is one of the potent antioxidant protections to shield skin from damaging free radicals and rogue molecules that are sign of the premature aging. Vitamin C is one of the popular ingredients in skin care because it helps to produce collagen naturally. This is one of the best serums for face as it has higher concentration of L-ascorbic acid. When you start out with a vitamin C cream, it is the best way out since it can boast for a longer time to improve your facial skin tone and improve the facial health as well. To improve the skin tone start off with serum that has a 10% concentration. Later you can increase the serum that has a concentration in the 15-20% range. Do You Really Need Vitamin C Serum? If you are looking for clear skin that is youthful, vibrant and radiant, the best solution for this is Vitamin C serum. Vitamin C itself is one of the strongest depigmentation and antioxidant agents found in dark, leafy greens and most citrus fruit. Although extremely potent, Vitamin C has a limited impact on the skin when ingested orally. The mechanism transport and bioavailability are factors that influence the beneficial effect it exerts. To get the maximum out of this vitamin, it needs to be directly and topically applied. In fact, according to some estimates, the topical application is 20 times more impactful than taking vitamins orally. The best option includes the application of Vitamin C serum on the skin. Lightweight quickly absorbed and extremely efficient; vitamin C serum benefits the skin in many ways. The skin becomes firmer and younger looking. Vitamin C is an important element in forming collagen which keeps the skin smooth and supple. Younger, healthier and firmer skin is the result of Vitamin C serum that leads to boost in collagen synthesis. This will help you to gain supple skin in next to no time at all. This stops premature aging by providing antioxidant protection. Free radical damage is prevented. These are adverse molecules that make the skin look older due to oxidative stress. Pollution, stress and sun damage are also reduced through the use of Vitamin C serum. Free radicals are neutralized and this creates a barrier where they cannot come in contact and damage the skin. It also works to restore the protein elastin responsible for adding to the beauty of your face. The Vitamin C serum leads to the fading of dark spots and brightens the skin. It lowers age spots and helps to prevent discoloration, as well as hyperpigmentation, meaning the skin becomes lightened naturally, and problems like dark under-eye circles and liver spots are eliminated. Ascorbic acid lowers the synthesis of melanin which darkens the skin. Vitamin C serum can also do away with sun damage induced redness. This Vitamin C serum acts as a sunscreen and prevents UV ray exposure. Vitamin C serum also protects against harmful UV rays. It should not be tried as a sunscreen and offers protection against harmful UV rays. 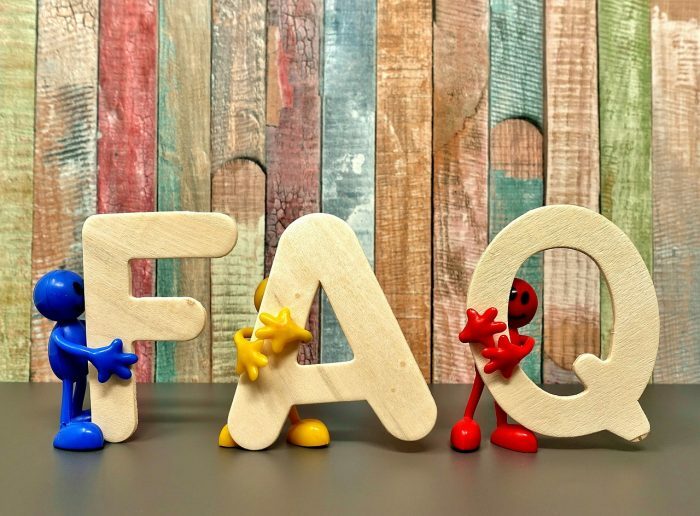 Supplementing your official sunscreen, it can also be an effective counterweight to sunburn, erasing discoloration, fine lines, and repair of damage. Vitamin C serum also prevents skin cancer by providing a certain amount of protection against UV radiation. This supplements the impact of the sunscreen by working to create a defense of skin layers. In the absence of sunscreen, vitamin C does not absorb UV lights. The work is limited to reversing UV damage resulting from nonstable free radicals. Before you apply any other product on the skin, you need to apply serum to prevent the skin from not absorbing the vitamin properly. Vitamin C serum offers numerous benefits. 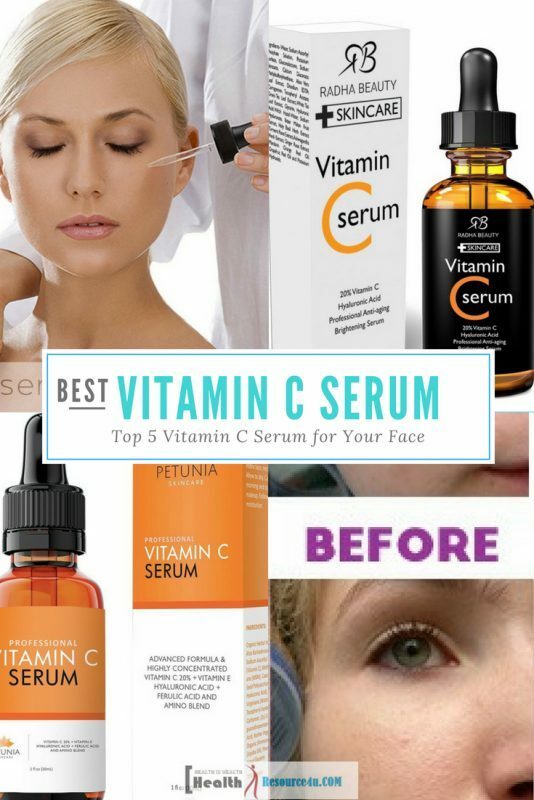 But there are a few considerations you need to take into account before choosing the different serums as brands and components of the vitamin C serum may vary. Vitamin C serum is effective regardless of whether you have dry or oily skin. You need to be cautious if skin is sensitive, though. If you have normal to oily skin, you need to check for a serum that comes with components like L-Ascorbic acid. Dry skin means you need to consider magnesium ascorbyl phosphate. Vitamin C serum is not meant for everyone. Though it can work wonders on someone else, it may not have the same effect on you. The application of the serum can lead to redness and irritation. While the reactions are considered normal, it is not a positive development. Stinging pain and redness subside on their own. But if they d not, there’s a strong chance that the skin cannot tolerate topical applications. When you have sensitive skin, the basic ingredients of the Vitamin C serum can lead to allergic reactions. This is more common for sensitive skin. As the vitamin stays on the skin for some days, it is critical to know how to handle and tolerate it. Allergies and negative reactions remain on the skin till the vitamin applied have been tried. Although highly effective, vitamin C serums are not an overnight remedy. Skin repair and renewal can take a long time, stretching to days and even months. Most persons see results in just 2 to 3 weeks. The longest results that can be expected are around six months. A vast number of factors come into play before visible changes are seen in the skin. So, you can expect the results based on formulation strength, application method, the manner in which the product is applied, the frequency of application and skin condition. These factors need to be assessed when judging the capacity of your skin to find its way to good health. As each person’s skin differs, making comparisons does not work. How to Choose the Best Vitamin C Serum for Your Face? There are some critical criteria you need to take into account to get the most suitable vitamin C serum for the skin and the wallet. Here are the factors you need to consider while selecting vitamin C serum for your face. This is considered by researchers to be the most effective. The downside is that it is also very unstable and can serve as an irritant at top concentrations. If the skin can bear it, however, this can prove highly beneficial. However, care needs to be taken to ensure the serum is not oxidized. Most firms prefer to opt for derivatives, on account of the extended shelf life critical for a cosmetics company. These are water soluble derivatives of vitamin C that are considered to be one of the best formulations for skin care product use. It offers less irritation and more stability than vitamin C. Sodium Ascorbic, or magnesium phosphate has the same tendency to help in collagen synthesization as vitamin C. Those with sensitive skin who do not want redness opt for this form. Sodium ascorbyl phosphate can undergo degradation when it is not stored correctly or exposed to light or air. Usage by dates on the packaging is critical to get a product that works well. This is a fat soluble version of Vitamin C. It is commonly used in skin products because it causes less irritation. However, it does not boost collagen synthesizing as much as their vitamin C derivatives. Oil based products with vitamin C serum means you have to choose this form. It is less efficient than other derivatives, however. It protects the skin against free radical damage. This is another water-soluble derivative of the vitamin. This is a derivative used as a skin whitening agent with properties that include being a potent antioxidant. As it is less risky to the skin, this derivative is extremely effective in gaining the results you need. There are other derivatives like Ascorbyl Glucoside, but there are few studies and lack of research to support their effectiveness. Oil soluble vitamin C serums are not as useful as water-soluble ones. Most vitamin C based serums available are water based. These serums are lighter and easier to incorporate in the skincare routine. The serum needs to be applied after washing the face so as to provide optimal results. These derivatives have to be avoided as there has been a lack of research on studying their benefits. Other derivatives like tetrahexyldecyl ascorbate belong to a new derivative class that is hitting the markets lately. Most vitamin C derivatives such as sodium ascorbyl phosphate comprising the ascorbic acid and another acid component. These derivatives have man chemical fragments, protecting the core serum. Compared to other derivatives, these are more stable. They also boost collagen synthesis. If you have normal or oil filled skin, L-ascorbic acid needs to be used. Those with dry or sensitive skin should use sodium or magnesium ascorbyl phosphate to stop redness and irritability of the skin. The amount of vitamin C is a tough factor for formulations. A huge amount of vitamin C is required to boost collagen production and assist with hyper-pigmentation, yet it can cause redness and irritation. Vitamin C form or L-ascorbic acid or derivatives influence the amount of percentage of this nutrient in the product. When its ascorbic acid, the amount in question should be 5 to 15 % in the product. For magnesium ascorbyl phosphate or sodium ascorbyl phosphate, the percentage can be between 1 and 20 percent. If you have sensitive skin, you should use vitamin C serum. Consider starting towards the lower end and working your way to higher concentrations. The skin should not undergo irritation and inflammation. The skin can become dry and peel out, which makes you look wrinkled. Pure Vitamin C like L-ascorbic acids should ideally be avoided for those with sensitive skins. Derivatives like those with 1.5–3 percent for the beginning month is enough for vitamin C serums for the soft and easily affected skin. 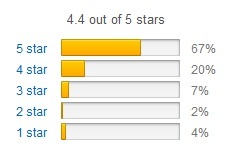 The criteria here is not the percentage but the degree of vitamin C the skin needs and can withstand. 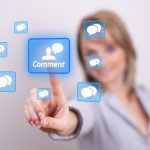 There is no magic bullet as such– you need to find an option that works for you. While purchasing a serum, pH levels are the most critical thing to consider too. PH levels reveal how much acidity the product has. Lower pH levels mean the product is acidic. The correct pH level is a true test of just how effective your product is. Lower pH levels are advisable because one can reach deeper skin layers. A lower level means that the serum is very acidic. While this works well for normal to oily skin, it can be a problem for sensitive skin. The vitamin C serum derivatives are just as effective with a higher pH. Recommended levels of pH for magnesium ascorbyl is around 5 or 6. The range of the skin’s normal pH is around that area, focused on 4 to 7. Irritations and an allergic reaction can also take place when the vitamin C serum is akin to the usual skin PH. Many would assume that L-Ascorbic acid that is strongly concentrated is more effective. But the trick here lies in not choosing the highest pH level because serum should have a maximum of 3.5 pH or lower to go through the skin. This is why it can be an acidic irritant if concentration levels are too high. Affordable brands ranging from 2.5 to 3.5 pH levels are the best choice. The pH which is ideal for magnesium ascorbyl phosphate is around 5 to 6. Vitamin C derivatives come with skin labels that are sensitive. Serums with ascorbic acid have pH of 2 to 3 which can be an irritant for those with skin sensitivities. Those with sodium ascorbyl phosphate ranges from 5 to 7 ideally not impacting sensitive skin. Brands may have a problem with pH if they are not well tested. Some people find vitamin C serums not impacting effectively. But, don’t start expecting a quick acting serum and many of the products may have more than one thing associated with it. Ideally, you should look for potent antioxidants. Another important feature is hyaluronic acid and other additives which can bring moisture and lower wrinkles such as rosehip, ferric acid, aloe vera and green tea. Look for products that deliver on more than a single front. Serum with 20% of the L-ascorbic acid is not the only choice. Choose 15% of vitamin C serums for getting several other potent actives without getting the irritants. A higher percentage of vitamin C can be a big irritant too. The more vitamin C is present; the less other active ingredients will be added to this. The lower the level of vitamin C, the more ingredients will be added. The options will depend on whether other serums are used in the skincare routine or not. If one serum is used, it should be with a blend of serum actives like ferulic acid. If other serums are used, serum can be picked with 20 percent L-ascorbic acid bringing vitality to your skin. Vitamin C serum should lack color or be white. Why is this so? This is because a change in color can be an indication of possible oxidation. So, if there is brown or cloudy tint, the vitamin C has been oxidized, and it no longer works. Be careful of brands that sell colored serum. Colors are in place to disguise oxidation. The color is not the only basis on which oxidation is detected. Early oxidation stages do not alter the color of the serum only; they also cause a change in the smell. Usually, vitamin C serum does not have an odor. If there is a sour or rancid smell, the serum has outlived its usefulness. Vitamin E is an additional amazing ingredient you want your serum to include. Vitamin E is essential for making your skin feel healthy and brimming with vitality. Another great ingredient your Vitamin C serum should have is ferulic acid. Which acts as a positive defense for safeguarding elastin and collagen. It also has a stabilizing influence on the skin. Ferulic acid boosts the benefits of Vitamins E and C. It protects your skin from sun damage by blocking ultraviolet radiation as well. Hyaluronic acid offers the skin many benefits. As again depletes the HA level, finding a serum that makes you look youthful should ideally contain this ingredient. Hyaluronic acid boosts the longevity and makes the skin look fresh and radiant. Another key factor in assessing vitamin C serum is that there are different kinds of skin types from dry to natural to oily. Many have a blend of these skin types. So while derivatives may suit some skins, L-ascorbic form suits others. You need to find one that works best for you. Sensitive skin needs a mild option as opposed to high levels of ascorbic acid. Using less at a time, you need to work your way to stronger options to see how much your skin can handle. For normal or oily skin, the L-ascorbic acid form works fine. For skin that is dry or sensitive, you need derivatives. 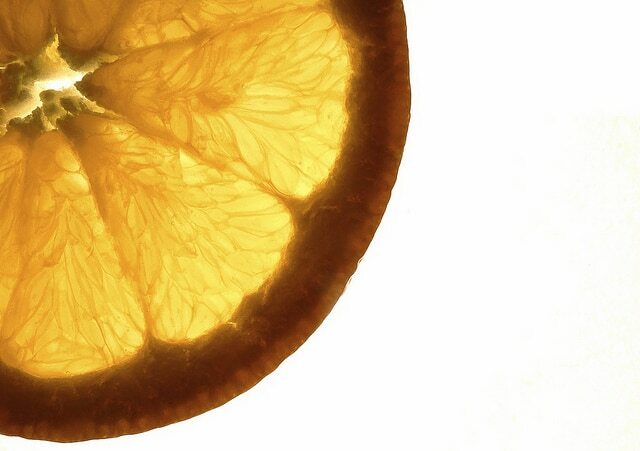 While looking for derivatives or Vitamin C serums, you need to watch out for oxidation. Early stages of oxidation are virtually colorless, so the brownish tint may be hard to replicate. Certain manufacturers even add color to hide the truth. Avoid colored or shaded vitamin C serums for this reason. Products rich in vitamin C and derivatives are sensitive to light and air making their quality degrade at a more rapid rate if not stored well. While firms do their best to create packaging that keeps the product fresh, such as tubes, pumps or bottles that are air restricted. Amber or blue colored dropper bottles enable protection of the serum from light. Transparent bottles need to be avoided because they cost less for the manufacturer, but work badly for you in terms of vitamin C serum shelf life. Reduce the air flow into the serum container by avoiding an opening in the serum bottle. Close the cap tightly and keep it away from light. Avoid exposing them to humidity and don’t store anti-aging products where there is moisture. Wrap them in foil or place the serum container in a fridge. Check if the use by date on the packaging is within the right range. Outdated serums will hardly be effective. Vitamin C is easily impacted by light and air. This makes packaging an important point when purchasing the serum. Bottles should be brown or blue, and containers should be airtight. You need to consider factors like customer service and opting for a company that respects you as a client. 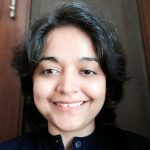 You need to check the brand reputation and see how the company is. 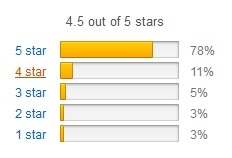 While there are many serums being sold online, it is up to you to check the quality. Another factor you need to consider is the price. Brands that are affordable and yet worth the money are an important consideration. Serums can cost anywhere from USD 100 to as little as $5! Choose a brand that offers comparable luxury and ingredients that are genuine. A good serum that provides value for your income is a must. The potency of the product is based on the concentration of Vitamin C there is. Higher content means a more potent serum. A serum that requires high concentration should not be the choice for those with sensitive skin. If you are commencing with the use of vitamin C serum, choose one with a concentration that is low. Check out these factors, and you would be able to find a product that works best for you. If conventional vitamin C serum does not work, opt for derivatives. The serum should not be kept in humid places. Why is this so? Quite simply because the quality is impacted. Avoid storing the product where direct sunlight exposure results. For better storage, ensure that the serum bottle is tightly closed. This restricts air from coming into contact with it. For better storage, you need to place the serum bottles inside the fridge. Aluminum covers also help to safeguard the serum. Vitamin C in its natural form of ascorbic acid is unstable if wet. Once it comes into contact with air or oxidation agents, the product can be useless. Vitamin C becomes oxidized and makes the ineffective product leading to the oxidative stress causing damage in the form of free radicals; The ascorbic acid comes dehydroascorbic acid following oxidation. Then, the substance degrades further into byproducts that are not vitamin C.
Old products poorly prepared or ineffectively stored may be degraded by the time it is used. A highly concentrated formula containing 10 percent or more delivers adequate amounts of this acid to be impactful.Degraded products lack impact. Vitamin C instability can be solved by using ascorbic acid derivatives. This is known as L-ascorbic acid and is considered one of the most studied forms of vitamin C serum. Manufacturers, formulators, and scientists have proposed solutions. This has created derivatives that are stable and less irritating to the skin. Derivatives may have developed chemically, but these are effective as natural Vitamin C serum. These additional ingredients act to prevent the serum from degrading. Serumtologie Vitamin C Serum 22% has been formulated with the specific goal of providing the skin with the rich nourishment that it needs. This is especially needed as the skin ages and is damaged by environmental factors. This anti-aging serum, which has been developed by Serumtologie, contains a high concentration of vitamin C. The vitamin C comes from Sodium Ascorbyl Phosphate which has proven benefits in anti-aging skin care products. This means that the formula is very potent, without being too expensive. The serum also contains vitamin E, which is known to contain antioxidant properties and combat free radicals. These free radicals are the molecules that cause the skin to dry out and produce wrinkles. Daily use of the serum will help to visibly reduce fine lines and wrinkles that appear on the skin. It is important to use this type of serum daily. As a person ages, the skin doesn’t repair itself as quickly as it used to. The result of this is less moisture in the skin. There are additional factors that can also damage the skin like UV radiation and pollution. To combat this, the skin needs to be nourished frequently. 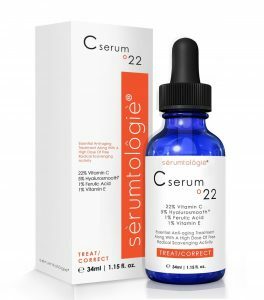 Each bottle of Serumtologie Vitamin C Serum-22 contains vitamin C 22%, vitamin E 1%, Ferulic acid 1%, and hyaluronic acid 5%. The combination of these ingredients has well-documented results in combating aging in skin. What are some of the other features of this serum? Contains natural, vegan, organic ingredients. Increases collagen, combats free radicals and slows down pigmentation. Doesn’t contain harmful ingredients, like genetically modified organisms (GMOs), parabens, artificial colors and fragrances. The Serumtologie Serum-22 is also backed by a 100% money-back guarantee if a user isn’t satisfied. The serum contains only ingredients that have a proven results in skin care. These include a high dose of Vitamin C, Vitamin E, hyaluronic acid, Gotu Kola, Aloe, Witch hazel, and wild geranium. The vitamin C in the serum is derived from sodium ascorbyl phosphate. This is an important factor in having vitamin C in a product. When vitamin C is used in products, it can become unstable and lose its effectiveness. Sodium ascorbyl phosphate keeps the same properties as vitamin C, but it is much more stable. The vitamin C produced has powerful antioxidant properties which are needed to destroy free radicals which can damage the skin. It is also an important ingredient in reducing age spots and other forms of hyperpigmentation. This acts as a powerful antioxidant when used together with vitamin C and vitamin E. It can help to protect the skin from the harmful effects of UV radiation. It also slows down the aging process on the skin. This nutrient is essential to provide proper hydration to the skin. This ingredient makes the skin firmer and more youthful looking. It has a unique property in that it is easily absorbed into the skin. Gently wash the face, using your favorite gentle cleanser. On the palm of your hand apply 4-5 drops. Gently spread this over your face and neck. Apply a moisturizer which has SPF protection. OZ Naturals Vitamin C Serum has been formulated to provide visible results from as soon as you start using it. The serum contains essential ingredients to reduce the signs of aging and improve blood flow in the skin. OZ Naturals have created this serum using high-quality vitamin C together with Hyaluronic acid. These are the 2 of the finest ingredients that are needed to nourish the skin. The serum will help protect the skin from free radicals and will give it a youthful glow. The serum contains four main ingredients which have antioxidant and healing properties. These are vitamin C, Hyaluronic acid, vitamin E, and rose hips. These ingredients help protect the skin from UV rays and the effect of free radicals. At the same time, it boosts the production of the skin’s own collagen. This helps to give the skin a fuller, softer, and more healthful look. Each bottle of OZ Naturals Vitamin C Serum contains vitamin C 20%, Astaxanthin, hyaluronic acid, vitamin E, rose hips, green tea, and organic jojoba oil. This is everything that your skin needs to keep it looking smooth and healthy. What are the other features of OZ Naturals Vitamin C Serum? The serum has the power to penetrate below the surface of the skin and provide deep moisturizing and protection. This results is skin hydration that can never be achieved by using moisturizers alone. Only ingredients of the highest quality have been used in the formula. Four main ingredients have been used to give you smooth looking skin. Vitamin C is one of the most effective ingredients in protecting the skin. It destroys free radicals, which are to blame for the appearance of fine lines and wrinkles. It also protects from the harmful effects of the environment like pollution and other factors. The serum contains 20% vitamin C, which is potent enough to protect the skin without irritation. Hyaluronic acid the key ingredient which helps the skin to retain its moisture. As we get older the body produces less hyaluronic acid and this results in the skin losing its smoothness and more wrinkles appearing. As well as being an excellent moisturizer, hyaluronic acid has antibacterial and anti-inflammatory properties. This is sometimes called vitamin X and it is a very powerful antioxidant. In fact, it is much more powerful than vitamin C and vitamin E in protecting the skin. Astaxanthin has a remarkable effect on the skin, and can even reverse the aging process. It is also used in the treatment of sun spots and age spots. Rose hips also contain vitamins A, C, D, and E. In combination with the other ingredients, rose hips have anti-inflammatory, antiviral and antiallergenic properties. This helps in protecting and healing the skin. Gently wash the face as usual and pat dry. Apply a few drop of serum on the hand and apply to the face and neck. Once dried, apply your favorite moisturizer (preferably with SPF properties). 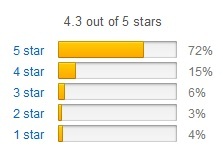 It is one of the Bestseller in Amazon. It guarantees to leave your skin radiant. It is a cruelty free organic item. VoilaVe has created a unique Vitamin C serum formula which gives amazing results fast. The formula has been specially developed to reduce the signs of aging without clogging up pores. 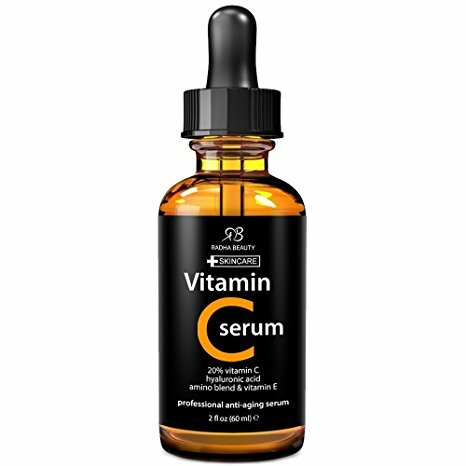 The secret to this serum is its use of 3 different types of Vitamin C. The three forms of Vitamin C are combined with hyaluronic acid to create a very effective and fast working face serum. The serum is very effective in reducing the appearance of wrinkles and fine lines as well as treating many other skin problems. The unique combination of the 3 forms of Vitamin C and hyaluronic acid work together to give deep penetration to the skin and 3 layers of protection. This Vitamin C serum is very effective in treating a number of skin conditions, not just to reduce the visible signs of aging. These include repairing sun damage, reducing the appearance of age spots, and lighten acne scars. The way that the serum has been formulated means that it won’t clog pores. Each bottle of VoilaVe Triple Action Vitamin C serum contains Vitamin C in 3 forms as well as hyaluronic acid, making this one of the most powerful Vitamin C serums on the market. 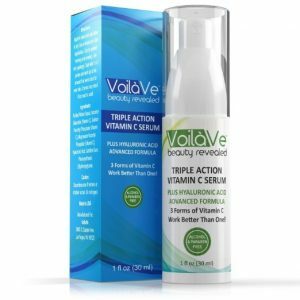 What are the other features of VoilaVe’s Triple Action Vitamin C Serum? Brightens the skin, giving it a smoother fell and a youthful look. Doesn’t contain alcohol, or harmful ingredients like parabens. They back up their claims with a 90-day money back guarantee. The factor which sets this serum apart from other serums is the 3 forms of vitamin C contained in the serum. The other main ingredient is hyaluronic acid. Vitamin C is one of the most powerful antioxidants that is used in serums. It has been described as a “skincare superstar.” It is very effective in protecting the skin from free radicals – the molecules which damage the skin. Vitamin C is very effective in protecting from the harmful effects of the environment – UV damage, pollution, and other factors. The body naturally produces hyaluronic acid, but as we age the process slows down. The hyaluronic acid is in the collagen of the skin. The beauty of hyaluronic acid in the serum is that it penetrates the skin and moisturizes the skin from the inside. Gently wash your face as normal then pat dry. If using toner, apply this now. After the serum dries, apply your favorite moisturizer. It is a powerful anti-ageing product with pump technology. Apart from anti-ageing benefits it also reduces skin pigmentations and other signs of ageing. 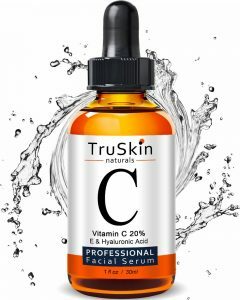 TruSkin Naturals Vitamin C Serum has been specially formulated to help keep skin looking young and healthy and reduce the appearance of aging. TruSkin has developed this anti-aging serum using on the best natural ingredients. The formula has been designed to provide all the necessary nutrients that the skin needs. The formula includes 3 of the best-known ingredients that keep the skin nourished – Hyaluronic Acid + Vitamin C + Vitamin E.
The serum contains the finest organic ingredients which have the power to visibly improve the skin’s appearance. Wrinkles and fine lines are reduced. The appearance of age spots and sun spots is reduced or disappears completely. The production of collagen is stimulated, and this results in the skin being more elastic. It can even be used to successfully reduce sunburn. It is very important, especially as a person ages, that the skin receives the nourishment that it needs. TruSkin Naturals Vitamin C Serum gives the skin exactly that. The result is that the skin looks and feels healthy. What are the other features of TruSkin Naturals Vitamin C Serum? It only contains high-quality natural and organic ingredients. The special formula helps fade sun and age spots. Contains no dangerous ingredients like parabens, mineral oil, GMOs, sodium lauryl sulfate, and artificial colors. 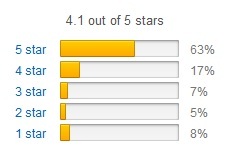 TruSkin also offers a money back guarantee if results are not what the user expected. Only the finest ingredients are used in the serum. These include Vitamin C, Vitamin E, Hyaluronic acid, organic witch hazel, organic jojoba oil, organic Gotu kola, and organic geranium. This is essential in providing the skin with antioxidant protection. It also protects the skin from free radicals, which speed up the aging process. Vitamin C is great for protecting the skin from sun damage, oxygen, and pollution. It also helps to boost collagen, so, the skin then becomes firmer. Rather than take vitamin C as a supplement, many women are finding that they are having great results by applying it directly to the skin. Vitamin E also has powerful antioxidant properties and these are intensified with used together with vitamin C. It combats the harmful effects of UV radiation, this means that you develop fewer wrinkles. Vitamin E also works on the skin to keep it moist. Hyaluronic acid has sometimes been called the “fountain of youth.” Over half of the body’s hyaluronic acid is found in the collagen of the skin. The addition of hyaluronic acid in TruSkin Naturals Vitamin C Serum works to increase the smoothness and softness of the skin while at the same time decreasing wrinkles. It does this by hydrating the skin and improving elasticity. Use a gentle cleanser to wash the face with a gentle cleanser. Gently dry. Apply a few drops of TruSkin Vitamin C Serum. After the Serum dries, apply your moisturizer. One of the perfect day and night cream made up of the highest-grade ingredients. It is formulated with 71 percent organic ingredients. Q. What is Vitamin C based serum? A. This is a derivative of ascorbic acid. Ascorbic acid is vitamin C in its pure form. It has high potency as against ingestion of vitamin C orally. Q. Why should this serum be used? A. Vitamin C serums can lower hyper-pigmentation increasing collagen synthesis and protecting the skin against massive damage. It boosts cellular repair and lowers the skin aging signs. Q. How can this serum be used? A. To be applied efficiently, the serum must be placed after the face is washed with a gentle cleansing solution. Warm water should be used to cleanse the face before it works. The serum should be massaged in to ensure that it is well absorbed by the face. Once the serum dries on the face, you can use quality sunblock and moisturizer. Q. How can the serum be stored? A. Vitamin C serums are extremely sensitive to air and light. The oxidization occurs quickly, and once that takes place, they are no longer effective for use. Prolonging shelf life will be possible if the serum will be stored in a dry and cool setting. While using the serum, make sure it is placed in an airtight container. Ideally, you should be placing it in the aluminum foil. Q. Can vitamin C serum be prepared at home? A. The DIY vitamin C serum can easily be made at home. All you need is vitamin C, a tinted container, and a base. For a 10 percent serum, you need one-fourth teaspoon of L-Ascorbic acid and glycerin with two teaspoons of distilled water. The mixture needs to be made homogeneously. It should be tested before the serum is placed in a distinct container. The container should have a pH of 3.5 or less. Q. What vitamin C works best for the skin? A. A derivative of Vitamin C namely Sodium Ascorbyl Phosphate is the ideal choice for skin care. Don’t use fat soluble serums. Opt for water soluble serums instead as these are less irritating to the skin. These derivatives are also stable and resistant to air and light. Fat soluble vitamin C like Ascorbyl Palmitate is one of the most suitable options. It does not boost collagen synthesis than other derivatives, however. Q. What are the other ingredients the serum reacts to? A. The vitamin C serum needs to be added to the beauty toolkit though care needs to be taken about what ingredients you are using it with. Niacin with vitamin C serum can make the impact of both substances zero. Also, if your serum is wet, it will become unstable after undergoing oxidation and degradation. You should also avoid retinoid-based products along with vitamin C. Retinoid makes light sensitivity high so, you need to use it at night. In the morning, the serum can be used. Q. Are these serums effective? Vitamin C serum has become an important part of the beauty regimen of many. The serum can eliminate liver spots and other damage caused by sun exposure. It also treats melasma and skin damage like a sun burn. The serum also lightens the skin and slows down aging because it fights oxidative stress in the form of serum. Ascorbic acid can also treat male patterned baldness and hair loss, according to some reports. Q. Does Vitamin C serum lead to acne? A. Vitamin C serums are associated with safety for the skin. But when vitamin C undergoes oxidation, it can cause stinging and acne too. Q. Can Vitamin C serum cause skin irritation? Vitamin C serums are linked with low levels of pH and can penetrate the skin. But the acidity also causes serums to lead to skin irritation.Acidic Vitamin C causes redness and itching and can even lead to chemical burns resulting in scars and bleeding. Q. Which vitamin C serum works best for acne and oily skin? A. Serums are helpful while eliminating acne. Not all serums are equal, however. For acne prone skin, try serum which contains Vitamin C +E up to 15 percent, no oil and is water based. It should also have ferulic acid to increase shelf life. Q. What works best for combination skin? A. Combination skin ensures that areas in the face alternate between dry and oily. Choose a serum with Vitamin E and hyaluronic acid in addition, which has ingredients that dry aging. Q. Which Vitamin C serum works best for dry skin? A. This type of skin is not effective when ascorbic acid is used. Invest in derivative serums instead such as Magnesium Ascorbyl Phosphate or Sodium Ascorbyl Phosphate. Q. What is suited for sensitive skin, when it comes to vitamin C serum? If you have a truly sensitive skin, choose topical vitamin C with 20% composition, Choose an organic brand that does not have chemicals and parabens. This goes deep into the skin, causing a healthy, radiant appearance. Vitamin C serum has a lot of benefits for the skin. But you need to consider factors like whether the pure form or the derivative should be used. Take the sensitivity of the skin into account. The best part about Vitamin C serum is that you use completely natural products to rejuvenate your skin and take off the years and fine lines. Now, bid goodbye to wrinkles and aging with Vitamin C serum that makes you look as beautiful as you feel. what is the recomemded age range to use it?